FREE TOOLS FOR YOU. BETTER HEALTH FOR YOUR COMPANY. 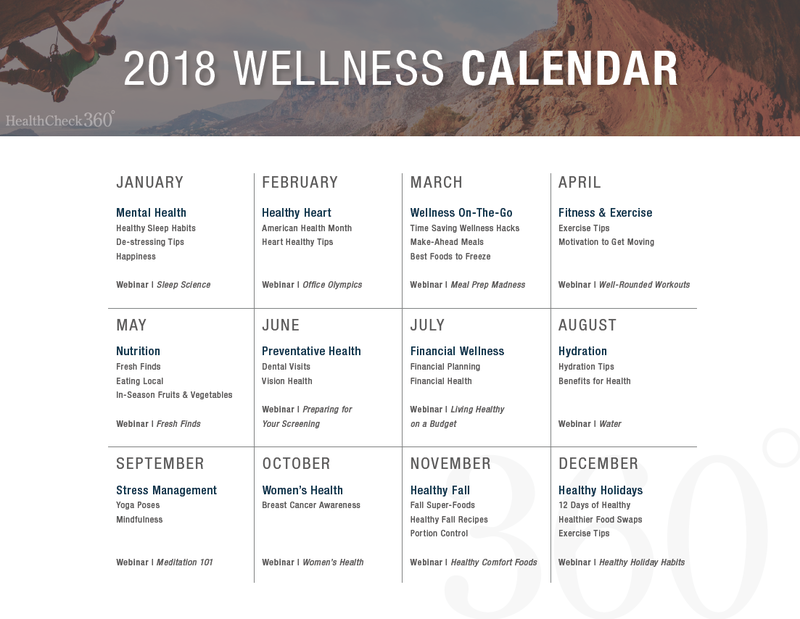 Keep your employees engaged in your wellness program with our new 2018 Wellness Calendar. Use this to support your on-site wellbeing activities, or build out your own program.